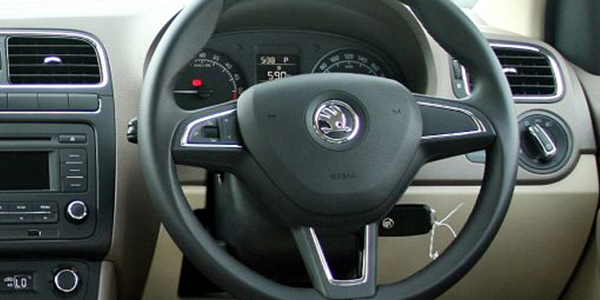 Skoda Rapid, the subcompact sedan produces by Skoda Motors, comes equipped with a multi-functional steering wheel that houses audio as well as phone controls. The ergonomically placed controls can be operated by the driver by just extending the thumb and pressing the soft touch buttons. The car competes with the likes of Hyundai Verna Fluidic, Honda City, Toyota Etios etc. Hyundai Verna Fluidic hosts just audio controls on its steering wheel and does not come with steering mounted phone controls. Honda City, comes with steering mounted audio controls as well as phone controls that lets the driver operate the music system easily and take or make phone calls. Toyota Etios comes equipped with just the audio controls on its steering wheel and that too only on the top end variant. Skoda Rapid is thus better bestowed than most of its rivals in this respect. 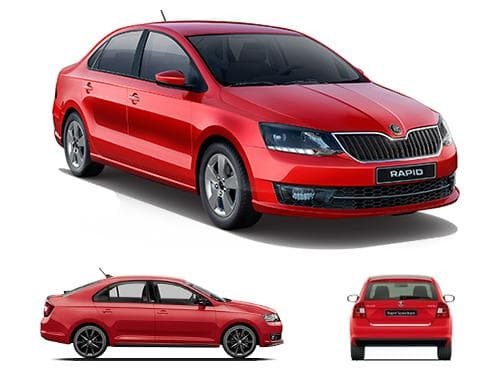 The variants of Skoda Rapid that offer steering mounted controls as standard include 1.5 TDI AT Edition X, 1.5 TDI CR Ambition, 1.5 TDI CR Ambition AT, 1.5 TDI CR Style, 1.5 TDI CR Style AT, 1.5 TDI MT Edition X, 1.6 MPI AT Edition X, 1.6 MPI Ambition, 1.6 MPI Ambition AT, 1.6 MPI MT Edition X, 1.6 MPI Style, 1.6 MPI Style AT, Monte Carlo Edition AT Diesel, Monte Carlo Edition AT Petrol, Monte Carlo Edition MT Diesel, Monte Carlo Edition MT Petrol, Onyx AT Diesel, Onyx AT Petrol, Onyx MT Diesel, Onyx MT Petrol. The variants of Skoda Rapid that do not offer steering mounted controls as standard include 1.5 TDI CR Active, 1.6 MPI Active.